The Meridian Group announced Monday that M.C. Dean Inc. is moving its headquarters to Greensboro Station, joining other companies heading to the three-building Class A office complex at The Boro in Tysons. M.C. Dean, an electrical design-build and systems integration firm, will lease 85,807 square feet of space. “Company leaders are seeing the ongoing transformation of Tysons -- with a host of new amenities and easy access to the Metro. They know this will help them to attract and retain the best employees, and better service their clients,” Gary Block, a partner at The Meridian Group, said in a statement. Meridian owns Greensboro Station and is developing The Boro. M.C. Dean is currently located at 22980 Indian Creek Drive in Dulles. The move marks another milestone for the company, which began as a small electrical firm in 1949 and has grown to 3,000 employees worldwide. Greensboro Station, with three interconnected towers totaling 630,000 square feet, is steps from the Greensboro Metro station. The complex is a part of The Boro, a new 4.2-million-square-foot development that will feature a mix of offices, apartments, condominiums, stores, restaurants, entertainment and open park space. Scheduled to break ground later this summer, The Boro will be the newest Metro-oriented, mixed-use destination in Tysons. CBRE’s Terry Reiley and Dan Grimes handled the leasing for the Meridian Group. CBRE’s Erik McLaughlin, Malcolm Schweiker and John Redeker represented M. C. Dean. Meridian, a real estate investment and development firm based in Bethesda, Md., acquired Greensboro Station from Science Applications International Corp. (SAIC) in 2013. The firm renovated the complex, investing more than $30 million. The improvements include renovated lobbies, an enhanced fitness facility, a new Starbucks coffee shop, a café, and a new conference center. The work seems to be paying off. Cvent was the first new tenant and leased 128,000 square feet for its headquarters. With M.C. Dean’s signing, Greensboro Station is now 91 percent leased, compared to 25 percent when Meridian acquired the complex, the company said. 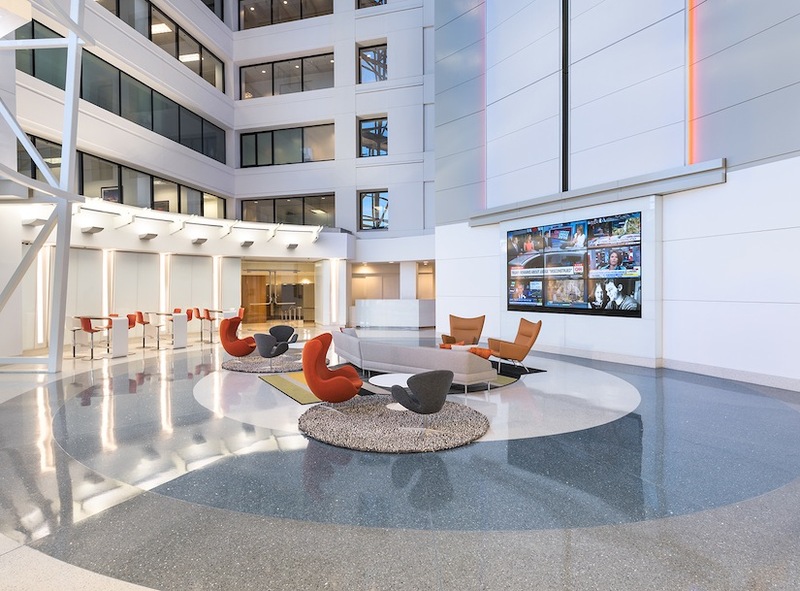 “We’ve successfully transformed what was once a single-tenant complex that had no identity to a vibrant multi-tenant complex with several companies headquartered there,” said David Gelfond, senior vice president at The Meridian Group. M.C. Dean is the second major company to select The Boro for its new headquarters in recent weeks. On June 17, TEGNA announced it was moving its headquarters to Boro Tower, a new 20-story trophy office building to be constructed as part of The Boro’s 1.7-million-square-foot first phase.